I spent several summers in my almost 20’s frequenting Java Jack’s in South Minneapolis. It was a late-night, chain-smoking, Soundgarden-cranking coffee hangout, an odd choice for an early-morning, non-smoking, Sarah McLachlan-loving woman. But my sister and I drove there every single night after we closed down the shopping mall coffee shop we worked at, and spent our evenings out on the patio slurping down granitas with the regulars. They weren’t real granitas, of course, just some sugary coffee spinning around all day in a worn-out slushy machine, but I drank more of them then I could ever count, and enjoyed every single drop. So when I got a copy of Tasting Rome in the mail (Katie Parla and Kristina Gill’s beautiful new book that focuses on both traditional and contemporary recipes from their lives in Rome) and flipped open to find a recipe for a real granita, I got to work right away making it. 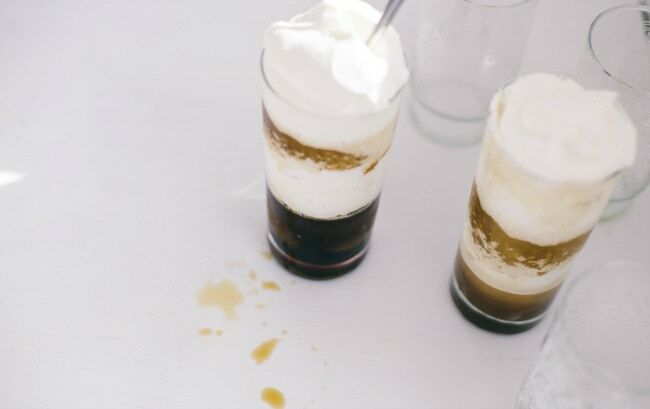 Strong, cold coffee, a bit of sugar, and whipped cream piled to the sky is a bit more sophisticated than the concoction I drank on those hot summer nights years ago. Both have their place, but I’m looking forward to warm afternoons on the back porch, not a whiff of cigarette smoke, and Ella Fitzgerald scatting quietly while I sip my icy drink. 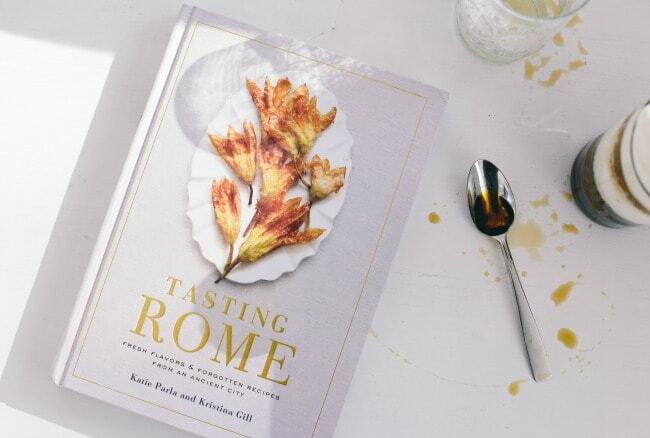 GIVEAWAY: Clarkson Potter is giving away a 3 copies of Tasting Rome. 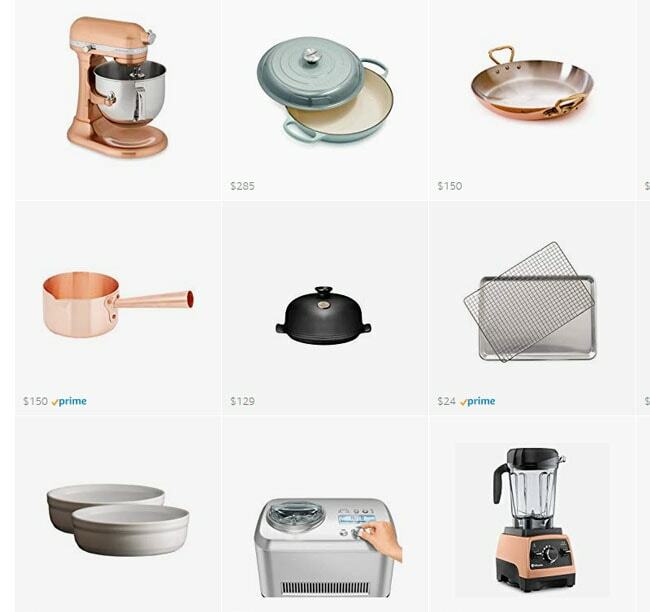 Each winner will also receive a set of three 8×10 prints from the book, an 18×24-inch hand drawn map of the center of Rome by Lena Corwin and a set of exclusive recipes which aren’t in the book. To enter, please leave a comment below, with your name and email address. (If you want to tell me what music you’re loving lately that would be lovely! But not necessary.) Giveaway open worldwide, and entries will close on Sunday, April 10. The winners will be chosen at random. Make the granita: Combine the coffee and sugar in a medium bowl and allow to cool, about 20 minutes. 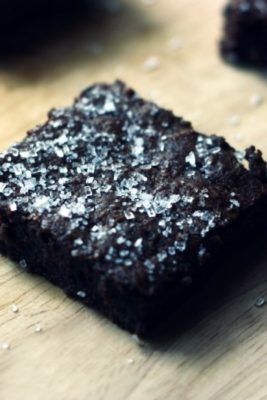 Transfer the mixture to a rimmed baking sheet and place in the freezer for 30 minutes, until crystals begin to form. Scrape the crystals with a fork to break them up. Repeat this process every 15 minutes until the whole baking sheet has become fluffy ice, six to eight times. Meanwhile, make the whipped cream: In a medium bowl, whip the cream until it starts to thicken. Add the sugar and Pernod, and continue to whip until soft peaks form. Serve the granita in a juice or parfait glass, layering it with the whipped cream. Disclosure: Clarkson Potter sent me this book to review, but (as always) all opinions are my own. i’ve been listening to kina grannis and nataly dawn’s mashup of “no” and a bunch of other songs non-stop since it came out last week. trying to sprinkle in some other songs, but i keep going back to the mashup. I’ve been listening to AURORA – Running With The Wolves, light me up – femme, and Låpsley – Love Is Blind. I’ve also been making my way steadily through NPR’s Austin 100. Good listening! Coffee granita is the dang best. This looks awesome!! I love everything coffee. Ice cream, lattes, affigato, you name it. Would love to try this recipe. And a map of Rome! Awesome! Love your blog! I’ve never had a granita, but it looks awesome! The over-sweetened starbucks stuff doesn’t do much for me, so I’ve pretty much stuck with plain black coffee, but clearly I need to try my hand at making some concoctions myself (or just go to Rome. I like that idea too). 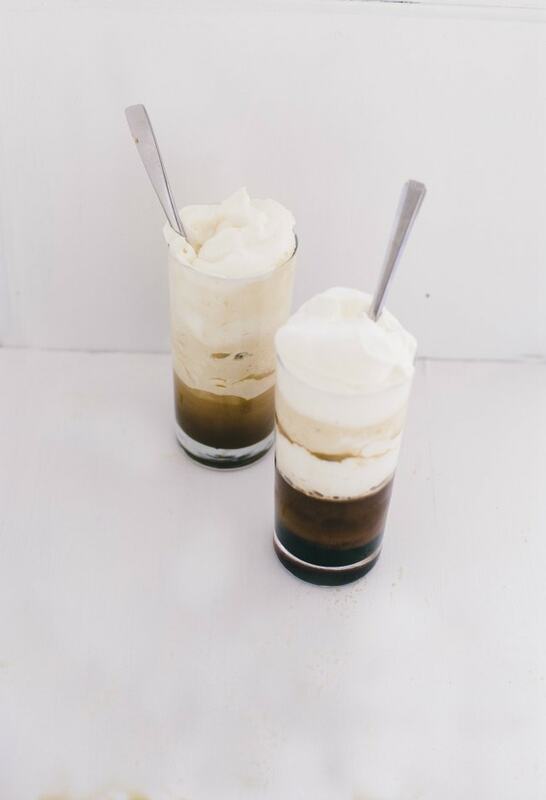 This coffee granita reminds me my summer in Sicily! Absolutely love Sia’s new album!! Been listening to the soundtrack from Hamilton recently; fabulous! lately I’ve been listening to old French jazz playlists on Spotify, especially while cooking or cleaning! 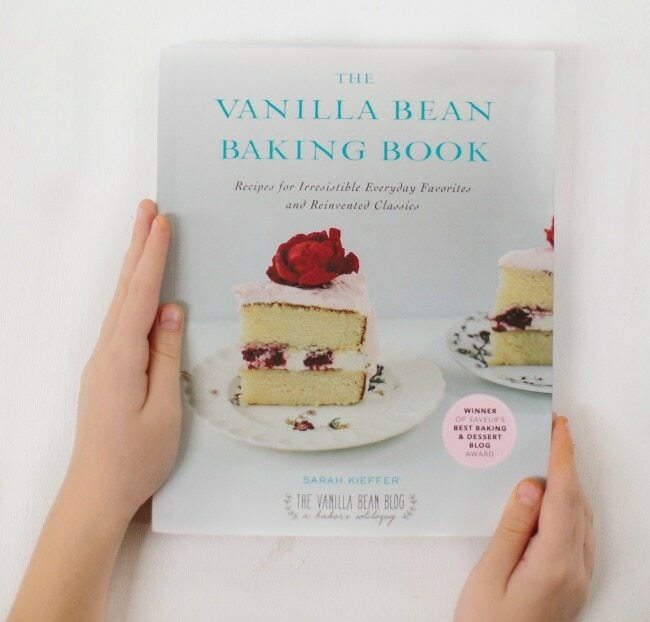 All the recipes I’ve seen from this cookbook so far sound amazing! I’m sure it’ll be a new classic. This recipe makes me long for my past summer holidays in Rome. Definitely going to make this a lot! New explosions in the sky album! Music I’m loving lately? Oldies (specifically, Frank Sinatra. Classic). I’ve been enjoying The Beach Boys! I can’t wait to try this recipe…looks amazing! I’ve been enjoying WomanChild by Cecile McLorin Salvant. I might listen to Paolo Conte or Paolo Nutini. or probably some zen music, as it just calms my nerves, which is my I cook anyway! Been listening to Anderson.Paak. And Hootie and the blowfish. Book looks lovely. I am a country music & late 60’s early 70’s (best music ever) girl. 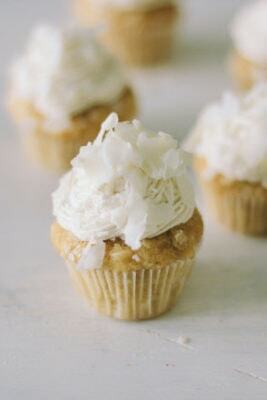 This looks like a great way to have granita. Perfect for long summer evenings! I finally started listening to the Black Keys, but I have a lot of Beatles tunes going, always. I have never had coffee granite and I must fix that! I would be great for company in the summer. Thanks! Oh my gosh I would love some of this recipe right now. Looks wonderful! Love granita but have never made it myself. I’ll have to give it a try. Love Cage the Elephant, Spoon and Neko Case-granita looks awesome! The coffee granita looks delicious! Mmm coffee and whipped cream, what’s not to like? Early jazz recordings are playing here. And a new recipe for an old favorite from my favorite city is most welcome. Thanks for the giveaway chance. Grazie. I have to make this while music from Frankie Cosmo is playing in the background. Yum! I love anything coffee. My favorite is affogato. I’m loving Ellie Holcomb right now. Her songs are so encouraging and uplifting to me. I’m loving some old school jazz ella fitzgerald and 70s funk at the moment. looks really interesting, thank you! I found out about Foy Vance (not Vance Joy) on Spotify last week and I’m loving his music. It’s great music to work to! I’ll have to try this – it certainly beats the coffee shop version which I know contains things I can’t pronounce and that my grandmother had never heard of! I love recipes that are just ingredients that are in my kitchen. 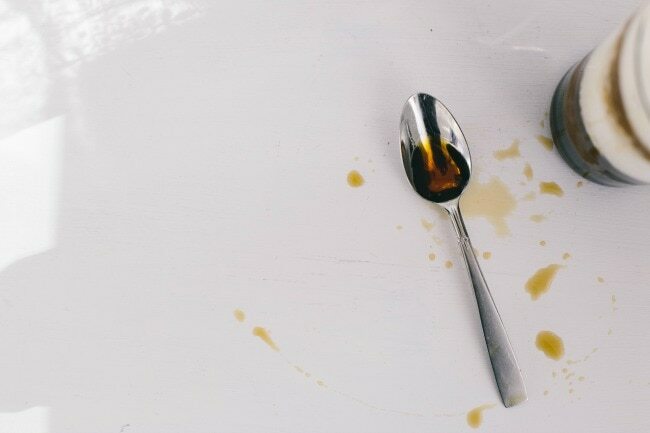 I’ll make it as is the first time but then will probably lower the sugar a bit – 8 tablespoons seems a lot. Thanks! Great recipe! Looking forward to trying it. I often listen to Horse Feathers while in the kitchen. I just subscribed an got this email this morning. Great way to start the day. I own a cafe and it always looking for inspiration and new items to offer our patrons. And…a long time ago I was in Italy for a few months and spent time in Rome and fell in love with the city. All good things. 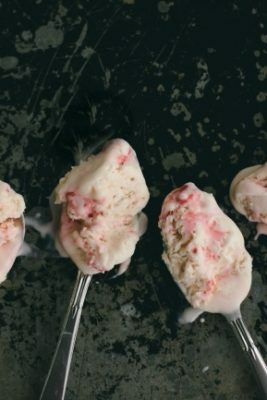 I had exactly this on a sweltering day in Rome this past summer, and it was unbelievably good – I’ll have to try this at home! Bring on summer! This looks lovely….can’t wait to give it a whirl. Husband and I rocking out yesterday to live recording of Manu Chao…..so good. Used to listen to him backpacking around Europe. Ah, Rome…sometimes I’ll listen to Andrea Bocelli and pretend I am there. I love the Beatles! Coffee, Coffee, Coffee how I love it too. Boston’s a coffee drinking town… but even more, it’s an ice coffee drinking town. So, I think I could totally get on board with an afternoon coffee granita. As I type, I’m grooving to Nathaniel Rateliff and the Night Sweats. I can’t get enough of their album. It’s been playing on a loop for the last week. Oh dannnggg what an amazing giveaway! I spent 10 days in Italy in college, most of them in Rome, and it is my favorite place in the whole world. I’m kicking myself for not spending more of my precious college money there on food, instead of museum fees (although that was a great choice, too). I love the nostalgia in your musings, want a granita soon, and have been listening to Melody Gardot more than usual, but this morning, a friend is coming to help me clean, and we will mop and dust to Marcia Ball, high-up happy NewOrleans jazz! I have had Thao and the Getdown Staydown on repeat. Such a lovely and genius granita! I will give it a try as hotter and summery days and nights are upon us. Well this just looks incredible! I just discovered Låpsley and am way into her. The book looks lovely. I would love to have a copy. We’ve been listening to JD McPherson. Heard him on the Current streamed from Minneapolis and now here him in person here in LA any chance we get. Spring = artichokes in Rome! I’ve been going old school. Beatles, Humperdinck, Elvis. I am totally addicted to coffee and I might have to find a way to squeeze this granita in on my pregnancy caffeine limit 🙂 As for music, I’ve been feeling a little lost in the mornings since Oake left Cities 97 in the Twin Cities so the Burnt Toast podcast has been on heavy rotation. I loved Katie’s suggested places to eat when I was in Rome last year. The book looks lovely. This drink is as beautiful as it is delicious! I’d love to have a glass while dancing to “Drinkee” by Sofi Tukker. I’d give that cookbook a whole lotta love and use, believe me. I have never had a granita before, but I do love coffee. p.s. I have been listening to a lot of Coldplay and Calvin Harris most recently. Rome sounds lovely as it’s on my bucket list. Since I’m all over music wise, I love Radio Paradise. This granita sounds and looks amazing. Oh my! I don’t drink coffee on regular basis but when I do I like to add some “extras” in it! Never tried this but it looks amazing! Love everything Italian! I can’t wait to make this coffee drink. It spells a summer afternoon out on our deck enjoying the day! This looks lovely! Hopefully I win this book. Would be the first cookbook I have ever owned! I’m looking forward to trying one of these . I’ve also enjoyed reading all the music selections . I can always count on Tim Neufeld and The Glory Boys when I’m in the kitchen ! The book looks so lovely and that drink sounds amazing. I love anything with coffee, that looks so delicious and refreshing! I use your recipes regularly! Morning granita takes me back to Sicily. This looks wonderful! Coffee coffee coffee! Love it! Would love to have this book too! This coffee granita speaks to me! I’m going to buy some beautiful stemware and serve them at my dinner party next week! I can taste the whipped cream, sweet sugar and icy coffee already! I am obsessed with ZZ Ward! Summer in Italy right here in Minnesota sounds divine. The National is always a hit in the kitchen for me. May the person(s) chosen enjoy the book for all of us! We have followed many of Katie’s recommendations for Rome. All have been excellent. I’ve been listening to Lana Del Rey’s ‘Honeymoon’ more than I would probably care to admit. These granitas look just wonderful. I think I know what I’m doing this weekend! This looks amazing!!! And love the story! your writing is beautiful! YUM granitas are so delicious! I’ve loved Billy Joel for forever, but I was recently reminded that his Turnstiles album is just incredible. Coffee, every way! Jenny Lewis, every day! Trevor Hall has been matching my Minnesota- almost, but not quite- Spring mood recently. currently listening to bhangra/pop mashups! super fun 🙂 I’m a big fan of any involving ToveLo or Usher 🙂 And granita is the best! especially with panna on top…yummmm! Oooh, I can totally imagine myself sitting on the back porch with a coffee granita, flipping through this beautiful book. Oh, and I’d probably be listening to the new Charles Bradley album. Or the live sessions from Villagers. They have nothing to do with Rome, but they’re equally awesome. Gonna be traveling to Italy for the first time this year and granita sounds excellent! This book looks aMAZing! As far as music goes, I’ve been listening to a lot of light classical (Mozart wins for spring music!) and Broadway– mostly Andrew Lloyd Webber. I’m loving Susanne Sundfør lately! I’m listening Moe ve Otesi, Pink and Depeche Mode. Also like Bebe. I’ve been listening to more jazz lately. I hated it when I was younger but I’m learning to appreciate it more as an adult. 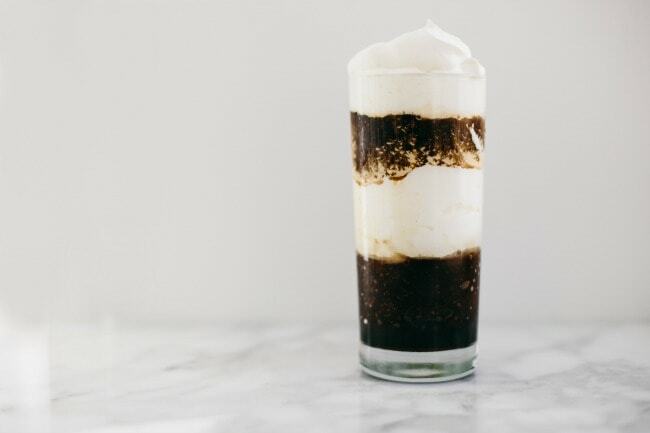 This coffee granita looks so lovely and refreshing for summer! 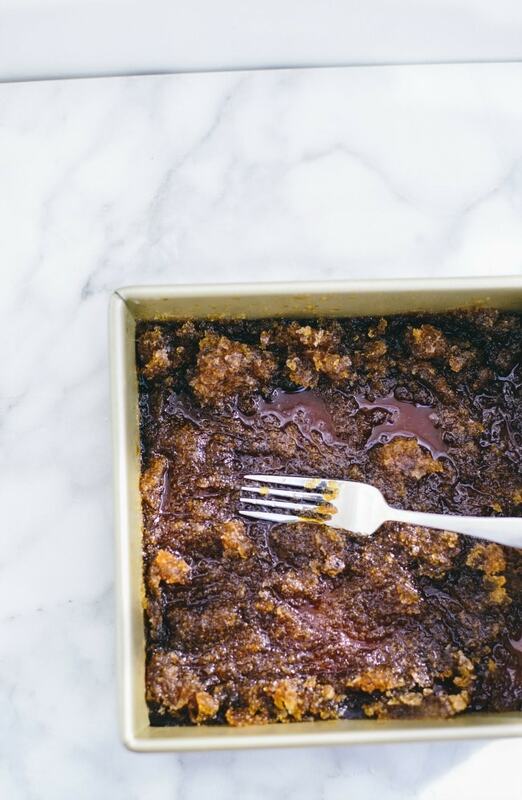 Would love to try this coffee granita and other recipes from the book! Cold and caffeinated gravitas are a godsend in Rome in the summer! The perfect treat to cut the heat and humidity. This recipe looks lovely – I can’t wait to try it! Coffee granita may be my favorite summer refresher ever. 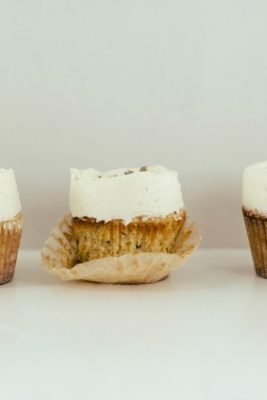 Now I seriously need to try it with whipped cream. I’ve been relistening to the Smiths and Morrissey lately and enjoying them all over again. That looks real good! Yum! I have been traveling around France recently to visit family and see Paris, so naturally Edith Piaf, Serge Gainsbourg, and Brigitte Bardot have been on repeat !! Would love the cookbook! I listen to oldies, classic rock. Rome is one of my favorite places!!! Spend a month there a few years ago….next time it will be longer!!! Thanks for offering the giveaway! I would love to win this! I fell in love with Rome on my first trip there 10 years ago, and especially love the coffee culture in Rome & all of Italy. Lately, I have been listening to The James Hunter Six! Those are seriously beautiful granitas! Lately, it’s a lot of Carly Rae’s Emotion album. It’s good! Simple ingredients make such yummy. Love it. Great photography! I’ve been listening to a light mix rock radio station where they play a lot of Prince. I’ve really come to appreciate his music. This recipe reminds me of our 25th anniversary trip to Italy two years ago! We purposely lost ourselves in each city seeking out the neighborhood restaurants. Oh to go back. My favorite music these days is the gentle chimes out my bedroom window as Spring blows in! This looks like a wonderful book! Lately I’ve been listening to the Bosnian musician Bozo Vreco. I love your blog. 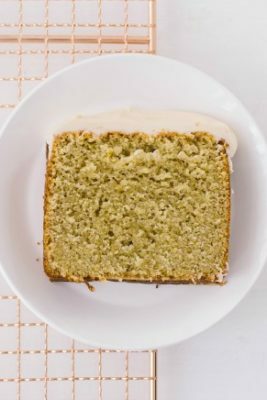 I recently found my late sister-in-law’s cardamom pound cake recipe here. Now I know it was yours. Thank you. How about some Miles Davis and one of these lovely granitas? 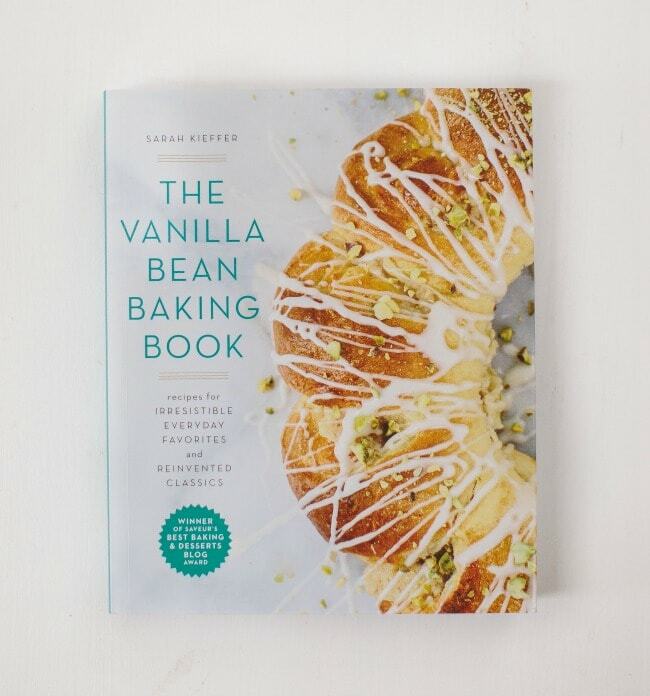 You had me at the squash blossom dish on the cover. We stayed in Rome for two weeks many moons ago and made the rounds to every cafe and restaurant we could. I’d love to cook from this book. UmUmmGood. All I can think about when reading this is sipping a cappuccino outside a little cafe in Rome and watching people go about their day. I remember, before leaving to go there for a week, all my friends were telling me about the food in Rome and how amazing it would be, but I’d never been much of a foodie so I didn’t pay much attention to those comments. But when I tasted one bite of the fresh, homemade spaghetti alle vongole, I was a goner! Rome has such a different tone to it then many other cities in Europe; it’s so refreshing, and I fell in love with the charming city and all the delicious food when I visited a couple years ago! Thanks for bringing back so many memories. It is so difficult to capture the beauty and complexity of such a deeply historic city. Beautiful post, and sounds like a beautiful book as well! P.S. I’ve found myself listening to a lot of City and Colour lately; you should check it out! 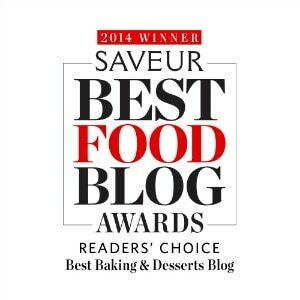 Just happened on your blog through a link on Bloglovin’ and am so happy to find you! Today’s post is beautiful and since I consider coffee to be the nectar of the Gods, perfect timing on my part. I’d love to win the Tasting Rome book and pictures, and share these with a good friend who teaches Latin as if it were still spoken here in Baltimore. Thank you!!! What a great blog and a wonderful giveaway! I’m boring, I usually listen to my local NPR station.